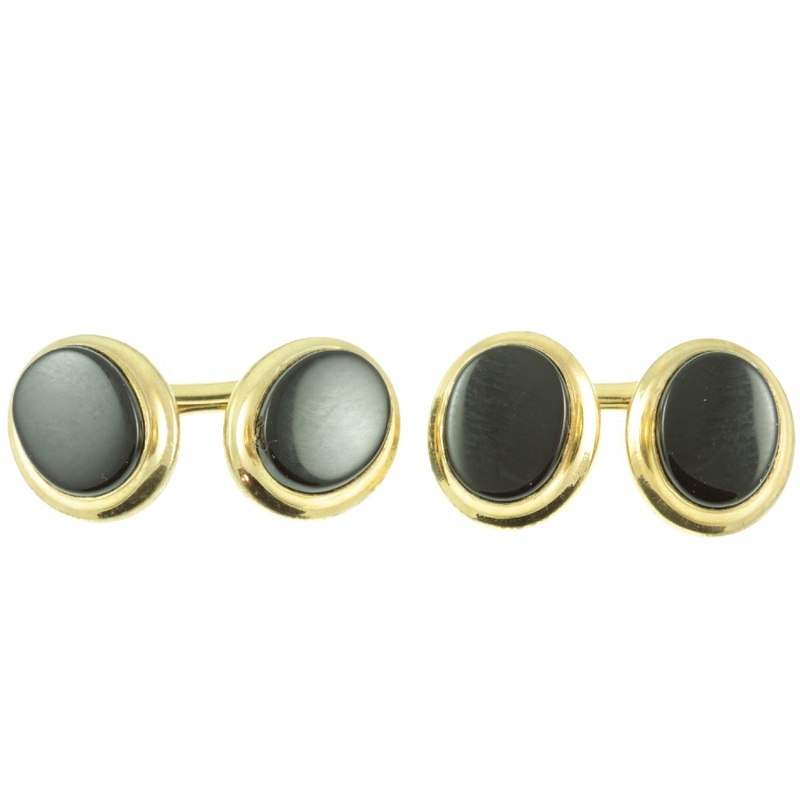 A striking pair of black onyx double cufflinks. 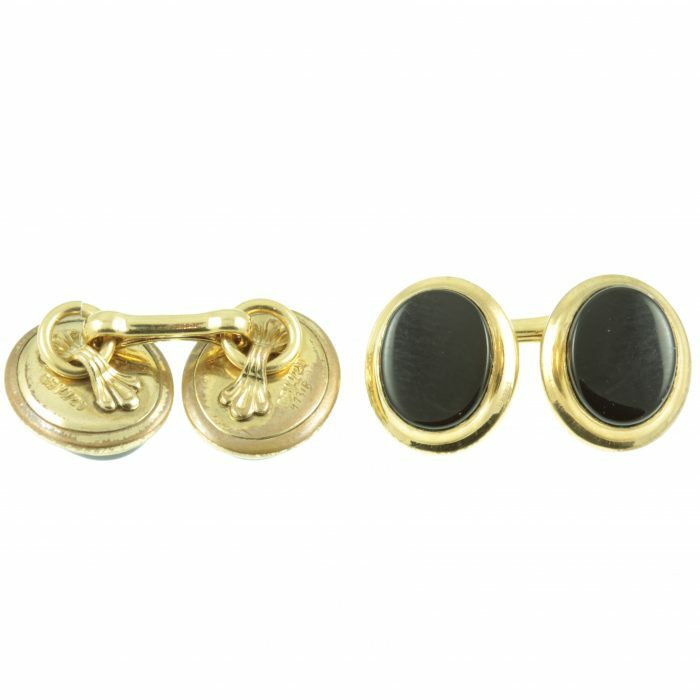 A pair of black onyx gemstones have been mounted in a gold plated setting, with a fetter bar link connecting each cufflink. These onyx gemstones have been highly polished and as such have a beautiful reflective quality to them. 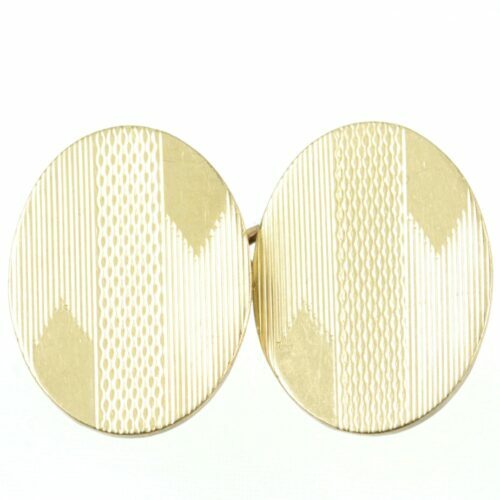 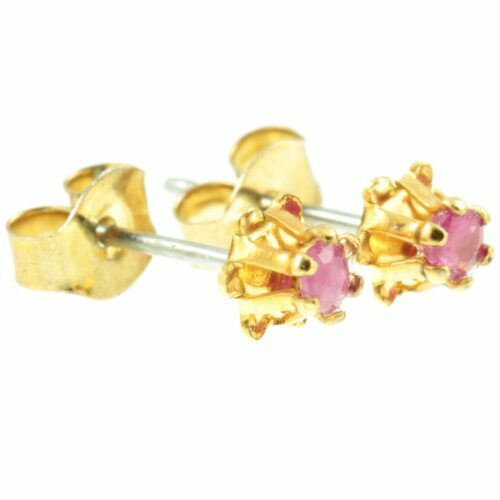 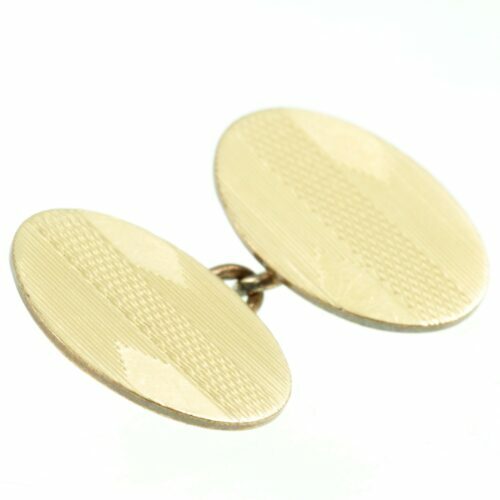 A timeless pair of vintage cufflinks. 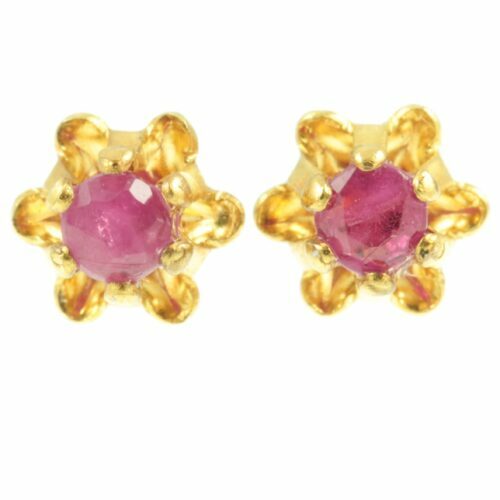 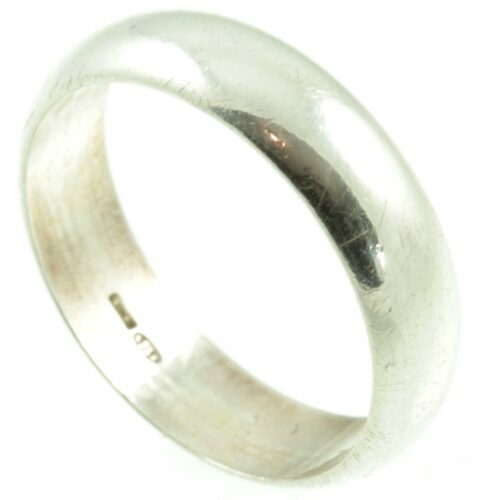 Size: 10mm X 12mm, weight: 2.5g each. 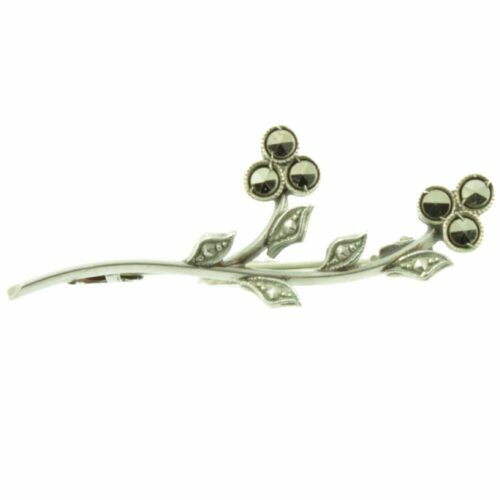 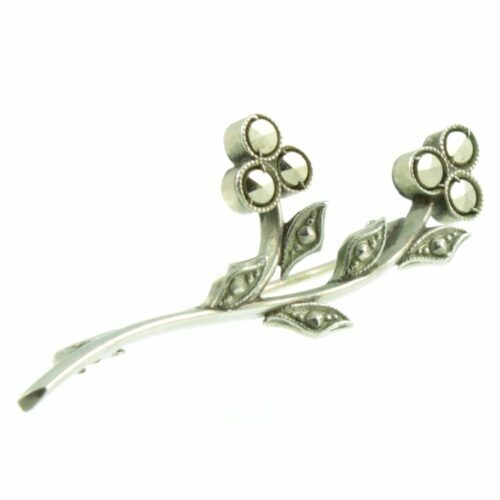 Period: Modern Jewellery ( the 1960s onwards ).